Even though last year brought us a ton of great games, the fight to walk away with the ‘Best of 2015’ award at industry events is usually a battle between four nominations: The Witcher 3, Fallout 4, Metal Gear Solid V, and Bloodborne. Last night the British Acadamy Game Awards took place, and, repeating its success at February’s DICE Awards, Fallout 4 took the top honors. 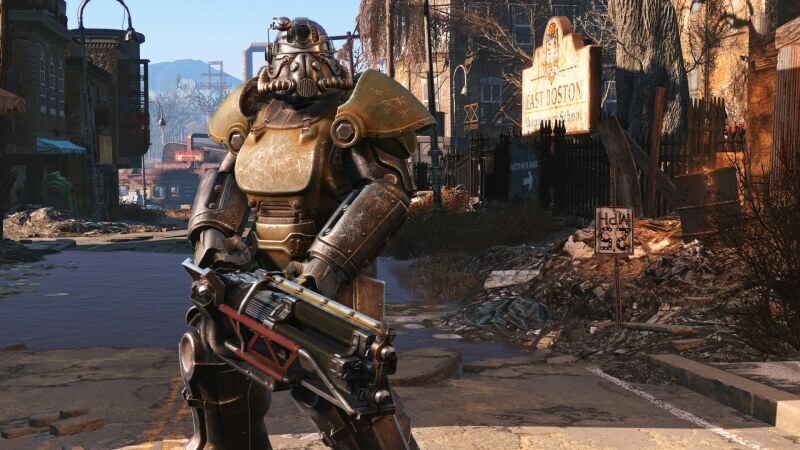 In the 'Best Game' category, Bethesda’s post-apocalyptic RPG beat both The Witcher and MSGV, as well as Rocket League and Everybody’s Gone to the Rapture. Unlike a lot of previous award ceremonies, Bloodborne wasn’t nominated for Game of the Year at the Bafta event. While the mega-budget Fallout 4 may have won GOTY, it was the indie games that dominated the proceedings. First-person adventure/exploration game Everybody’s Gone to the Rapture picked up three wins from its ten nominations; Her Story, the interactive crime tale developed almost entirely by Sam Barlow, won three categories from seven nominations; and Psyonix’s sci-fi/sports/RC car multiplayer title Rocket League won three of its five nominations. PlayStation 4-exclusive Bloodborne didn’t walk away from the night empty handed; it did manage to win the Game Design category, beating the likes of The Witcher 3 and Her Story. As this was a bafta (British Academy of Film and Television Arts) ceremony, one of the categories was Best British Game, which was won by Batman: Arkham Knight. The PC version of Rocksteady’s title was an absolute disaster, but on the consoles it received mostly positive reviews. It was a big night for Id Software co-founder John Carmack, who was given a Bafta Fellowship, the academy’s highest honor. The Doom, Wolfenstein 3D and Quake creator, who is now CTO at Oculus, said there was a “very good chance” that next year’s ceremony would be dominated by VR titles. “I don’t like to romanticize the past. I’m more excited about the opportunities available now than anything there’s ever been before. Thanks for this award, but I’m just getting started,” he told attendees. It was surprising to see The Witcher 3 – my favorite game from last year - not win any of its seven nominated categories. CD Projekt Red’s title was awarded both Game of the Year and Best RPG at The Game Awards in December. Here is the full list of categories, nominations, and winners. PES 2016 Development Team - Konami Digital Entertainment/Konami Digital Entertainment B.V.